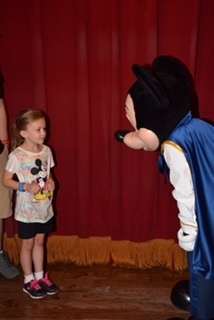 As a family, we also got to meet Mickey Mouse. We waited in a short line to be let backstage and meet Mickey. Someone dressed as Mickey Mouse comes out and talks to you and a photographer takes a bunch of pictures. Mickey says personal things to you about your name, where you are from, or your clothes and you get to experience a real meeting with Mickey Mouse. Disney is big on the experience. 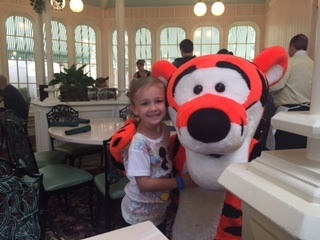 The rides, shows and interactions with characters use all 5 human senses. They truly want to create a magical type of experience for you. So what does this have to do with passing on your faith? If you are not already aware, there is a very serious discussion going on about faith. I find it both good and bad that many serious believers are not aware of the discussion. The discussion is about if it is a good idea to approach life through the lens of faith, reason, or a third option both. Much of Christianity today is focused just on the text, but why not the experience too. In 1999, I met Jesus. Jesus Christ changed my life. I had a surface level belief before this, but a series of events woke me up to some very harsh realities. As I began to seek truth, God showed up to me in dreams. He spoke to me about the state of my soul in a way that was very real. God still does show up to us in dreams and visions today. The Bible clearly teaches us this in Acts 2. In parts of the world that are hostile to Christianity, there are people coming to faith in Jesus through dreams all the time. These stories are not hard to find, just look. We have an active Jesus who wants to interact with us every day. Three weeks ago when I posted on some observations about Deuteronomy and the need to pass our faith on to our children, suddenly my post was referenced and linked on an atheist site. I had all kinds of interaction on my site because the atheists were appalled that I was talking about the need to pass on our faith in Jesus. I was called a child abuser and my lack of intelligence was questioned. I was hounded with bully statements and ridiculous claims. Why? Because there is an agenda among many atheists to teach the next generation to abandon their faith so they can build the world they want. If you have faith, they say you shouldn’t be allowed to hold public social responsibility, and your faith is a delusion and not a reasonable way to approach the real world. These are among the many thoughts on the subject. The reason many Christians don’t engage in this conversation is they are secure in the experience they have had with Jesus. They have met Him personally and there is no turning back once they have had this amazing experience of the God of the Universe changing their life. They also know that others have seen their lives change right before their eyes and the proof is so profoundly strong right in front of them, that these pithy angry comments don’t even phase the faithful. They also know that Jesus has personally brought them through hard life situations and when they turned to Him they know He carried them in unexplainable ways. The problem is, just because we are secure in where we stand with Jesus doesn’t lower our responsibility to pass this on to the next generation. It must be talked about and discipled into the next generation. The Truth (Jesus) is essential to this next generation. They will first experience Jesus through you and then through their own testiomony as God writes their story. It is important to tell your story as well as God’s story in scripture. Most of all, they need to personally encounter Jesus as well. Christians this week take a lesson from Mickey Mouse. We must pass on the experience we have had with Jesus to read more about this topic see Unstoppable and I Saw Jesus! Check out my new book. 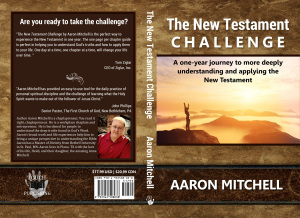 There are 260 Chapters in The New Testament. 1 Chapter a day 5 days a week 52 weeks a year 5 x 52 = 260! Take the Challenge! Change the Your World! Find it where Books are sold in both paperback and electronic editions.